Aaron Goodleman, The Drillers, 1933. Photo: Skirball Museum, Los Angeles. 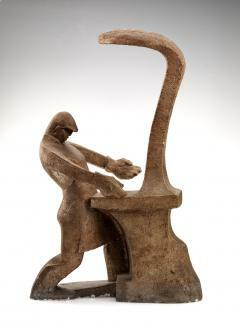 Aaron J. Goodelman, Untitled (Man at Machine), 1930, cast and painted plaster, Smithsonian American Art Museum. Aaron J. Goodelman, The Empty Plate, ca. 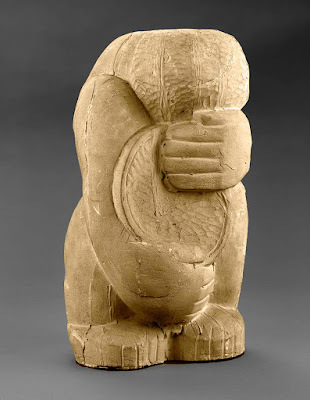 1930, plaster/cast and joined, Smithsonian American Art Museum. Aaron J. Goodelman, Happy Landing, ca. 1930, Tennessee marble, Smithsonian American Art Museum. 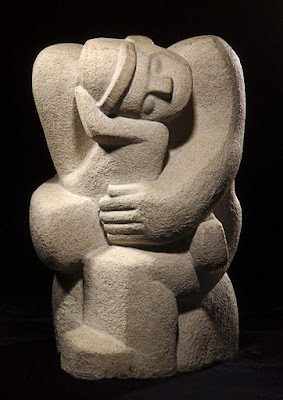 Today is the birthday of Aaron J. Goodleman, and Russian-born American-Jewish sculptor not widely known, but whose work deserves more attention for its formal qualities, its craftsmanship, and its social and political message. 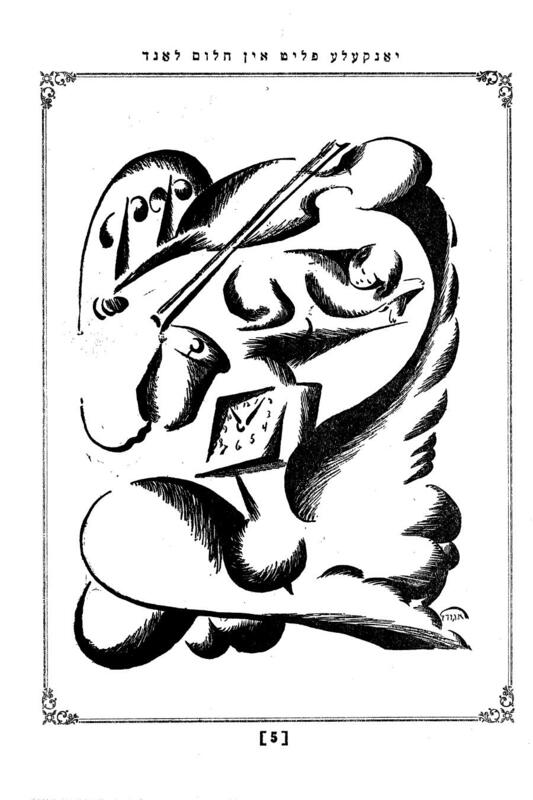 Goodelman was also an accomplished illustrator and etcher, and a frequent lecturer and teacher. He was born Ataki, Russia and studied at an art school in Odessa before immigrating to New York as a teenager in 1905. He studied at at the Cooper Union and the National Academy of Design, and in 1914, just before war broke out in Europe, he studied with Jean-Antoine Injalbert at the Ecole des Beaux-Arts in Paris. In the 1920s he worked as a machinist and during this time became a communist and exhibited at the John Reed Club in the early 1930s. 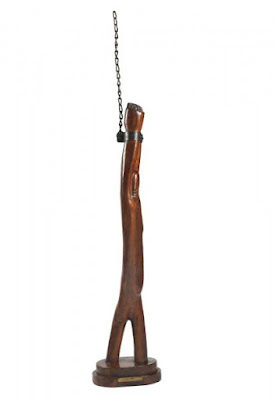 During this time strove to express themes of social and economic justice in his art. Perhaps his best known work today is his sculpture The Drillers (1933), now in the collection of the Skirball Museum, Los Angeles. 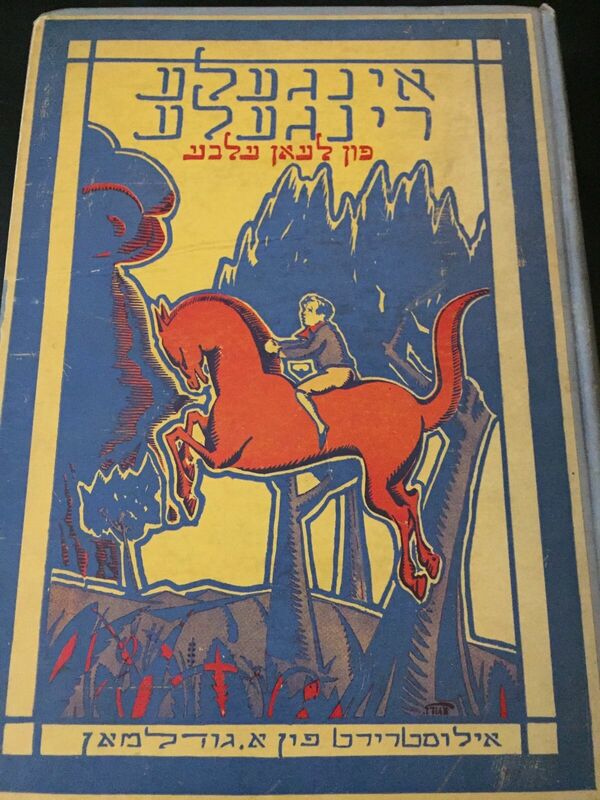 He was a Yiddish speaker and remained active in Yiddish culture throughout his life, joining the Yiddish-speaking branch of the Communist Party, but also illustrating many Yiddish children's books, such as the 2-volume Khaver-pavers mayselakh (1925) which contains thirty-seven illustrated short stories for very young children, in relatively easy Yiddish. 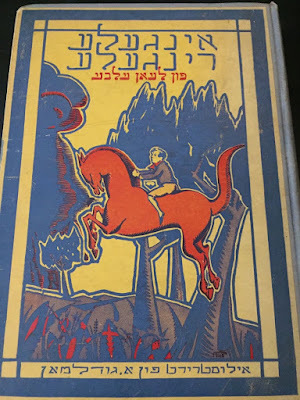 Goodleman also provided illustrations for the children's journals Young Israel, Kinder Journal and Joseph Gaer's books The Burning Bush and The Unconquered. He was art editor for YKUF (Yidisher Kultur Farband), a Communist-oriented Yiddish cultural magazine. Aaron Goodleman, Illustration for Khaver-pavers mayselakh (1925). Goodleman was a founding member of the Society of American Sculptors and for many years taught at the Jefferson School of Social Science. He taught at City College of New York in the 1960s. 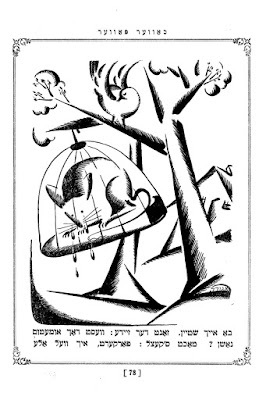 After World War II, Goodelman created art commemorating the Holocaust. I have not found images of these works, so if readers have information I would like to hear more. Aaron J. Goodelman, Man with Wheelbarrow, ca. 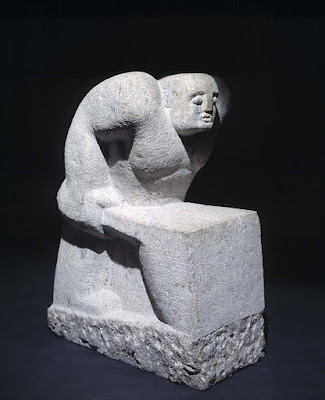 1933, granite, Smithsonian American Art Museum. Aaron J. Goodelman, Kultur, ca. 1940, carved, stained and waxed wood, and formed and welded metal, Smithsonian American Art Museum. Aaron Goodleman. Torso, 1939-1940. Photo: online auction site. Aaron Goodleman. Untitled (Girl with Fountain), 1952. Photo: online auction site.